Remote employees have come a long way since the days when trying to work while away from the workplace was like a sentence in solitary confinement. Thanks to the Cloud, they no longer have to use cumbersome methods to access office computer files or receive access codes from special devices just to make a phone call. But, do your remote employees really feel like they are part of the team? There’s a lot to be said for the sense of community formed by team members who are all in the same physical location. Here are four pitfalls of working remotely and how Microsoft* tools can help employees from San Francisco to South Beach collaborate as if they are all sitting around the same table. When attending meetings, the people in the office conference room have an advantage over remote employees. As discussions shift from one document to another, remote attendees have to scramble to locate those files and get them on their screens. Too often, the discussion shifts to something else by the time they get a first glance at the previous file. 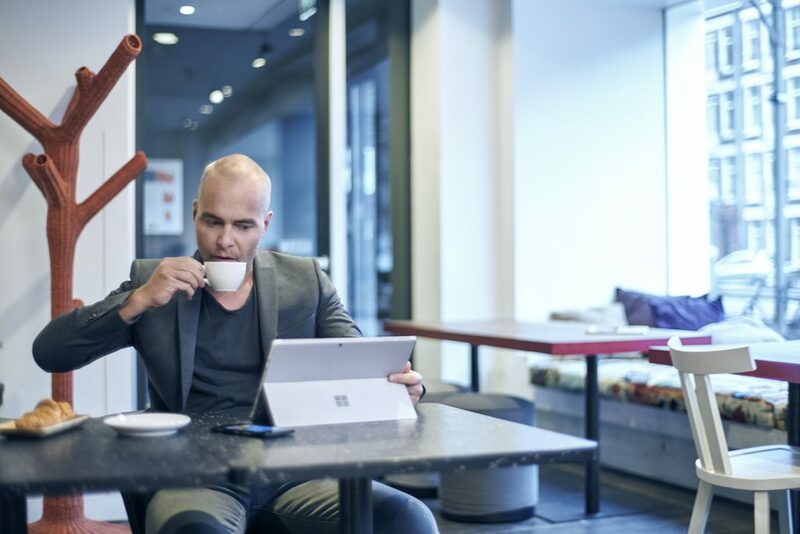 Microsoft Office 365 provides the same access to files in the Cloud regardless of location, and it offers a number of tools that make real-time collaboration easy, regardless of your location. Everyone’s on the same page at the same time. Even better, use Surface devices like the Surface Hub to project the work to one and all and collaborate real-time on the same documents! Individuals who work in close proximity to each other benefit from informal conversations or even the rumor mill to learn quickly when clients change the specs or when a suddenly broken supply chain threatens the timing of every future task in a project. Remote workers can lose out while waiting for a local team member to inform them. A glance at the Microsoft Teams workspace lets them proactively monitor up-to-date news for their projects. With Teams, you can review email history for a project, chat, share content and more seamlessly amongst your team collaborators, so there’s never an unexpected surprise. Work hours can overlap when employees work in different time zones, but shared time can become limited, especially if a British worker has to get out of bed at 10:30 pm to attend a 4:30 pm meeting called by someone in Chicago. Since Skype for Business is part of the Office 365 toolkit, that employee can sleep through that meeting, knowing that it will be recorded and available for viewing the next morning. A quick Microsoft Teams chat with other team members after viewing the meeting can add the employee’s questions and contributions to the conversation. A clearly stated company culture is essential in keeping employees informed about how things are done, what is expected of them in terms of their work — and even how to behave. But, small business owners are often too busy to communicate their expectations on a regular basis. Observation and overheard informal conversations provide in-office employees with a means to remain updated on cultural shifts. Remote employees do not benefit from the informal communication stream, and they can lose out. One of the many benefits of Microsoft Teams is an environment that lets remote employees gain this same type of connection. Small business owners only need to create one company-wide team to ensure that employees in or out of the workplace have a single source where they can stay attuned to all company happenings. The Cloud has only become common within the last decade, largely due to the apps and services introduced by Microsoft. File sharing and other tools have increased the attractiveness of off-site work, but a truly personal connection remained the missing ingredient. Microsoft Teams helps bring remote employees into the workplace, no matter where they actually reside. This article originally appeared on Business Unplugged.